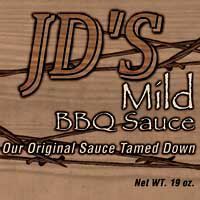 JD’s Smokin Grill n Bar is cookin up authentic barbeque southern style. We use only the finest ingredients and are true to the art of barbequing. All of our meats are of high quality and expertly smoked over real hickory for hours. Our blend of secret spices and juices make our meats so tantalizing that you will never need to go down south again for BBQ.